America had Tommy Bolin. Ireland had Rory Gallagher. And Rory outlasted Tommy by about 20 years. We still lost him, however, as Ireland’s greatest guitar player died in 1995. I first heard of Gallagher back in 1984 when several ex-Yardbirds formed a new band called Box of Frogs, so called because the additional players kept jumping in “like frogs.” The first album featured Jeff Beck. The second had guest appearances by Jimmy Page and Steve Hackett. But their de facto lead guitarist was Rory Gallagher. At the time, Akron’s WONE had an eclectic playlist that included obscure bands. Rory Gallagher would turn up on the radio from time to time. But it wasn’t until the 2000’s that I got a full introduction to his music. A couple of years later, Ken Bruen gave me two albums, Irish Tour ’74 and Big Guns. It’s the latter I listen to the most. It includes some of Against the Grain‘s strongest moments, but the collection showcases the power of Gallagher’s voice, fretwork, and songwriting. The two that really grabbed me were “Tattoo’d Lady” (which sounds even better live) and “Kickback City.” The Wire was on the air when I first heard the second song. Gallagher’s Irish background meshed nicely with that show’s working class vibe, as well as my own Steel Belt childhood. The Yardbirds weren’t the only band interested in Gallagher. In 1975, David Coverdale had a shortlist of two guitarists he wanted to replace Ritchie Blackmore. The first was Jeff Beck, but Beck had been on every band’s wish list going back to Pink Floyd in its Syd Barrett crisis in 1969. 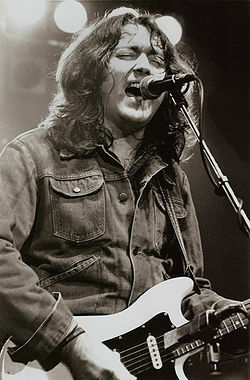 The second was Rory Gallagher. Purple might have lasted a few more years after Blackmore’s original exit had they landed Gallagher. His impact on the band could very well have been similar to Steve Morse’s almost twenty years later. But Gallagher wanted to be his own man. He stuck with playing solo and insisting on touring Ireland once a year throughout his career. Despite this, he did manage to eclipse fellow blues guitarist Eric Clapton a few times in the 1970’s. Alas, a liver transplant in 1995 did not take, and Gallagher passed away. Too bad, because, like Tommy Bolin, he had a unique playing style that bucked the prevalent sound of the time. He was an unrepentant individualist when rock was growing increasingly conformist. 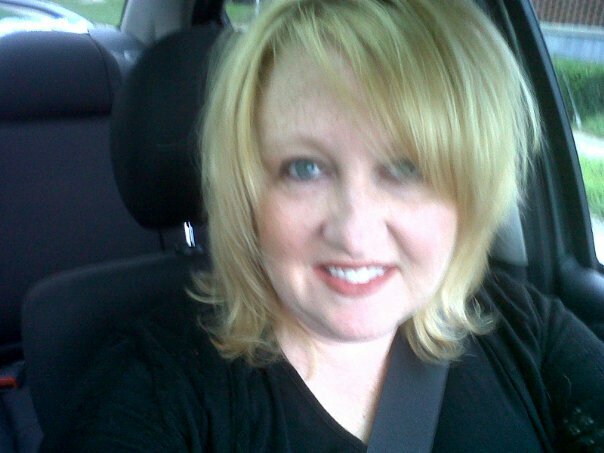 Wish a happy birthday to my wife, Nita. My lover, my best friend, the reason I get up in the morning. I love you, Sweet Rose. You make me so happy. I told myself when I finished my associates, I would buy myself a present. I’d get a Mac. This is not the first time I’ve made such a promise to myself. When it looked like the writing career would take off, I told myself I would get myself a PowerBook. Obviously, that was a long time ago, but its successor, the MacBook Pro, is still on the agenda if I sell a book for something more than a faint promise or Amazon sends me a check for $4000 from ebook sales, whichever comes first. Since we’re still waiting, I’ll focus on the degree, which finally came in the mail this week. (I did not attend commencement. I was too angry with the school over something that happened last year.) I also received a large payment from another source. Degree + money = Jim’s new Mac! To teh Intrawebs! The operating system is five years out of date. This is fine for a PC, where XP will run on just about anything, and Microsoft really needs to keep Windows 7 around a lot longer. On a Mac? Yeah, you try to install the latest iWork or Office on OS X Stray Cat when Werecougar is out. Not happening. It also had an anemic 1 GB of memory and no keyboard. No keyboard? Every computer I’ve ever bought, even the used ones, came with a keyboard. I’m paying $550 for a desktop computer and not getting a keyboard and mouse? My eBay search took me less than ten minutes from search to order. I found a 20″ iMac with 2 GB of memory, a camera, a 250 GB hard drive, and a keyboard!!! Same price as the used machine site. Best of all, I’ve dealt with this company before. When you’re employer is as cheap budget conscious as Medishack, you buy used machines. This company has sold us a few Dell computers that arrived clean, undamaged, and, I can’t stress this enough, with a keyboard. Did I mention this storefront regularly ships all makes of computers with a keyboard and mouse? Oh, and shipping? The machine should arrive tomorrow, and then the problems begin. No, not the Mac itself. I’ve used them before, and while I’m not a convert, the first thing I’m going to have to deal with is the Mac Head contingent. A couple of friends are all excited that I’m getting a Mac to the point of telling me the best places to get rid of my Windows boxes. Granted, the HP box is living on borrowed time, but that’s HP’s fault. They build crap machines anyway. Beyond that, this is not going to happen. The HP will get replaced by a Dell. Why? Because they work. This is exacerbated by my boss at Medishack, who is anti-Microsoft and anti-Google. (Fortunately, we’re both anti-Oracle, so we get along great.) His work machine is an iMac, though it runs a virtual machine running Windows 8. (Why? That’s a horrible desktop OS, though it looks great on tablets.) Here’s the kicker: We’re a Windows shop running Dells. Go figure. But he is constantly trying to rationalize why anything wrong with Apple is your fault and that Microsoft and Google are sinking ships. But it gets better, folks. AJ hates Apple. He says Macs are “not intuitve.” And yes, he uses them everyday at college. He hates the interface. He hates the Apple and Command keys in place of alt and control. He just hates Macs. And if you are a Mac Head, like my boss, don’t bother trying to “correct” him. He uses them regularly and will simply see you as a misguided idiot. Never let it be said that my stepson doesn’t have a mind of his own. My view is this: If you are dogmatic about the subject, you’ve already lost the argument. Pretty much any computer you own these days has an intuitive interface (Yes, even Windows 8, even if I think its desktop interface is the stupidest thing Microsoft’s come up with since Vista). The keyboards and mice are the same. Everything you do is on the Internet anyway. Hey, guess what. The Internet really doesn’t care if you use Windows, a Mac, or Linux (though Linux will make you work harder to get there.) I’m buying a Mac because I always wanted one. I’m buying it because there are three mobile platforms out there: iOS, Android, and Windows 8. You can’t write iOS apps on a Windows box. It’s really stupid, but it’s reality. And besides, who says I must remain loyal to brands or platforms? I treat political parties as disposable. What makes you think I want to get tribal about my computing equipment. OK, enough of that rant. The machine comes out of the box this week. Once I get Snow Leopard and iWork installed, I’ll let you know what I really think. Every PI is supposed to have a friend on the force. Spenser, for instance, had Boston’s Martin Quirk. Kepler has Homicide Sergeant Frank Windsor. It’s never clear how these two became friends, though it’s implied that it dates back to Kepler’s days as a claims investigator. The earliest mention of Windsor comes in the short story “Valentine’s Day,” where Sgt. Windsor seems amused by Nick’s dilemma with a client-turned-stalker. He’s the oldest character in the series. 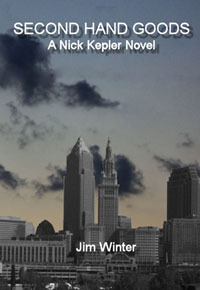 The original Nick Kepler and the one eventually written into an aborted novel are not the same character who first appears in “A Walk in the Rain,” but Windsor is very much the same cop: rumpled, greasy-haired, and fond of cheap cigars. Windsor genuinely likes Nick, mainly because Nick used to be a cop and understands why he’s not anymore. I tried to work him into Northcoast Shakedown, but the best I could do was a passing mention. In Second Hand Goods, Nick is stuck in some pretty nasty stuff, and Windsor isn’t too happy being left out of the loop. His normal partner is a mob-obsessed detective named Paul Bertkowski, but Bertkowski is on vacation in this one. So Windsor takes a younger detective, Sarah Wiseman, under his wing. She really can’t understand why Windsor tolerates Nick. He’s cagey about a dead car thief and an equally dead Russian trigger man. He’s clearly hiding a fugitive (Lenny Slansky). Plus she’s convinced Nick is having an affair with Elaine, which is not true when she meets him. But Windsor has known Kepler for years, knows he’s scrupulous, and knows he holds back for good reasons. With the Russian mob involved, however, Windsor’s patience is pushed to the limit. Instead of an ally, Nick finds Windsor becoming an enemy on a front he never wanted opened. They stood outside room 417, the snow fall blanketing Reno with an early December coating. “I thought you and I were here for forty grand,” said Johnny, a skinny 25-year-old kid sitting. Johnny looked at Joe confused. Johnny didn’t have an answer to that. Inside, Frank Sinatra, Jr. shook his head, laughed, and went back to his game of solitaire. Regular readers of this space will not be surprised to learn that I’ve anxiously awaited this album since the release of 2008’s Happiness Is the Road. That album chronicled a rough period in lead singer Steve Hogarth’s life that paralleled some tough times for me personally. Most people who have heard of Marillion will be surprised to know that they’re still around. A quick recap. Marillion started out as a progressive rock band back in 1980, featuring the keyboard work of Mark Kelly, the virtuoso bass work of Welshman Pete Trewavas, the Gilmouresque guitar work of Steve Rothery, and an angry young Scottish vocalist named Fish. Their big attraction was their playful spin on a sound originally played by Genesis, right down to Fish’s Peter Gabriel-like vocals. A tour partnership with Rush brought them to the attention of American and Canadian audiences, and after their 1985 hit, “Kayleigh,” it looked like they would become permanent fixtures in rock music. Not bad for a band that played in a genre that went out of fashion in the mid-1970’s. Neither here nor there. When a band changes vocalists, they face an uphill battle to keep up their following. Alas, Marillion faded from the public mind. But a funny thing happened on the way to oblivion. They went independent. Their core following stayed with them, even as they shed any pretensions of progressive rock. US fans financed a tour when management decided to skip North America. After a lousy two-record stint with indie label Castle Records, they hit on the idea of an Internet campaign to fund their album, struck a deal with former label EMI to distribute, and hired their old A&R rep as their new manager. Then they started charting again, despite a few idiot British music critics who haven’t listened to a note of Marillion since “Lavendre” in 1985. One keeps confusing them with Rainbow, an idea that horrifies Ritchie Blackmore as much as it does Steve Rothery. OK, now you’re up to date. So what’s the album like? In short, a mixed bag. They do revisit their progressive roots with three very long songs: “Gaza,” “Montreal,” and “The Sky Above the Rain.” It’s “Gaza” that the band is pushing hard right now, and the song h is the most proud of. Hogarth sings from the point of view of someone living in Gaza who cares not about Israel or Hamas’s stupid hardline stance. All he knows is “Once we had land” and “Bullets rained on our heads as our homes collapsed.” It’s an epic song and a difficult one to listen to, but very well done and thought out. Mr. h is angry, and he does take pains to take the Jewish viewpoint into account. If you’ve been paying attention to his lyrics over the past decade or so, you know he’s developed less and less patience with governments everywhere to the point of making his fiery predecessor Fish look almost apathetic. “Gaza” is the creative breach in the dam for Hogarth. But like every Marillion album since 1992’s Brave, this one is nothing like the previous albums. Steve Rothery frequently says in interviews that each album is a deliberate attempt to be nothing like the last, although you hear flashes of what made their previous work so creatively successful. “Pour My Love” and “Power,” lyrically two very different songs, have an almost rainy day jazz feel to them. “Lucky Man” (not a cover of the ELP hit from 1972) is a tour-de-force for Rothery’s guitar playing. And really, it’s Hogarth’s vocals (the same as Fish before him) and Rothery’s guitar that makes Marillion’s sound. “Power” is almost a lyrical coda to “Gaza” while “Pour” is a love song that sounds almost American in its construction and execution – more piano and guitar than synthesizer. “Montreal” is a travelogue of sorts, the city a frequent stop for the band and for h during solo tours. One passage has him describing Skyping his wife in England and seeing the “little one” growing up so fast. Clearly, life has gotten better for h since the events that spawned Happiness Is the Road. “The Sky Above the Rain” is the long end to the album, and is the one song that’s “typically” Marillion, if anything since 1984 can be called typical of this band. All the members are in balance here, and h’s vocal range is at its widest on the album. The song is structured similar to 1996’s “This Strange Engine,” only without h coming in at the end laughing drunkenly while Kelly plays the piano. (If you have This Strange Engine, it’s after a long pause at the end of the title track, something like ten minutes or so.) Quite enjoyable. So what’s not to like? How about the title track? I heard the first monotone chords of “Sounds That Can’t Be Made” and thought, “Oh, no.” As I listened, it didn’t get any better. The song is reverb-heavy and overly synthesized. It’s just a mess. Too bad, because I really liked the rest of the album. For a band that has shunned its old progressive rock label, it made a song that sounds like a 1970’s prog band trying to find its way in the synthpop eighties. Who let Geoff Downes (Asia) into Racket Studios? But “Gaza”? That stirred the alter-egos juices flowing (and the bombastic Arabic sound is pretty cool.) “Pour My Love” will go on a mix tape for Nita. (Yes, I do mix tapes for my wife. Deal with it.) “Lucky Man” and “The Sky Above the Rain” are simply pure enjoyment. It’s not the best Marillion album. Those would be Misplaced Childhood, Afraid of Sunlight, and Happiness Is the Road. But it’s up there with them. Plus it’s hard to top Happiness, which came 12 years after Afraid of Sunlight, which came eleven years after Misplaced Childhood. But it is a worthy successor. Tim Trinity is a prosperity gospel huckster who makes Robert Tilton look like a rank amateur. He even “speaks in tongues.” Only lately, much to his dismay, he is speaking in tongues. That is, God is speaking through him. He predicts the destruction of a New Orleans oil refinery and the Kentucky Derby. A lot of powerful people don’t like that. A secret society along the lines of the Freemasons isn’t happy about it. A Las Vegas gambling mogul really doesn’t like it. More importantly, the Vatican doesn’t like it. So they send an operative, Daniel Byrne of the Office of Devil’s Advocate, to debunk Trinity. Byrne has special motivation to stop Trinity. Byrne grew up as Trinity’s ward before he became sickened as a teen by his tent revival con game. Except Trinity’s not faking it. And those all-powerful theys that don’t like that? They’re trying to kill him. Byrne goes from dutiful priest in search of miracles to trying to keep his uncle alive. It’s a race against the clock, complicated by CNN’s interest in him. This is a much different novel than Chercover’s Ray Dudgeon books. The plot and cast is wide ranging, and the action snowballs toward a life-and-death confrontation only hinted at in the beginning of the book. It’s not surprising that Trinity is not the villain even he paints himself as. What is surprising is the true nature of the two power blocks working behind the scenes and the identity of the man in the apartment at the novel’s start. Chercover is a skillful suspense artist. Wilkerson doesn’t waste your time with that kind of self-love. She gives you concrete steps, case studies, and outlines her own history in running her own businesses. Granted, she does push her own Barefoot Executive services a bit too much, and I would like to hear what her earlier businesses were. While Wilkerson’s delivery in this audio presentation is pleasant – It made a few stressful commutes easier to handle – I recommend you read this in hard copy. Don’t even get the ebook. You’ll want to mark up the book, make notes, and go mad with a highlighter.